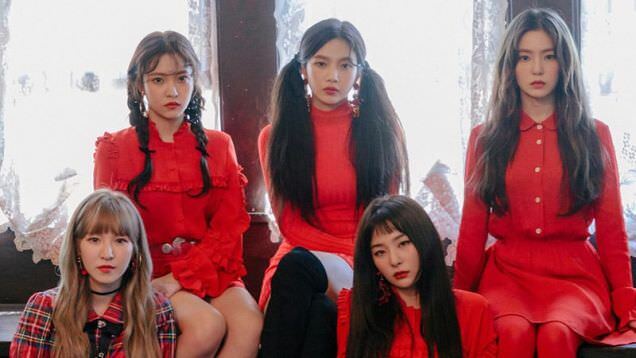 Following August's SM Station track, "Rebirth," Red Velvet have released their 2nd full-length album 'Perfect Velvet.' They bring you 9 tracks on this LP, including their title track "Peek-A-Boo." For track #3, let's just say "I Just" like this one. It's a great thing when composers start messing around with sounds that aren't strictly music. That's where this song comes in and brings the awesome. "Kingdom Come" has more of that stop/start goodness, and transitions to a wonderful R&B tune. 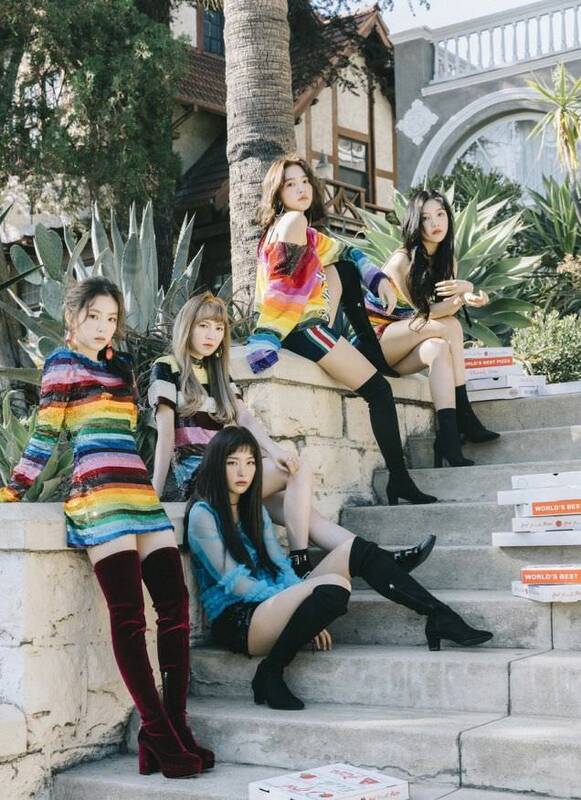 Red Velvet is always so good at those. The girls are killers in their new MV "Peek-A-Boo!" At least, it certainly seems like that. The target of their murderous attentions is an innocent pizza boy, who seemingly can't even escape from their clutches when it appears that he has. The MV jumps from one sequence to the next, as they cut each other with straight razors, throw axes and loose crossbow quarrels. And somehow blindfolds and an abnormally large moon play a part. The dancing is a mixed bag, equal parts awkward and at the same time full of life. There are some nods to aegyo during the "peek-a-boo" part of the chorus, but other than that it's fairly solid. You could, of course, ask the question "do killers dance?" There are all sorts of faux shocking imagery, from weapons speeding towards a sitting member, to dancing around a table full of candles, with one in the center. There's even some blood. But it never quite goes from settled to ultra-violent�and you get a sense of unease while watching it. It bubbles beneath the surface, hidden behind a cute wardrobe and mostly accomplished choreo. It finds its way out in the way they stare at the moon, for example. But shut up and tell us if it's any good, you cry. The answer is yes. It's also kind of a different concept for the band. If you're frothing at the mouth for more Red Velvet, go ahead and click play. Or even if you're not.